In response to last week's entry, Why Art Should Be Shared, I want to invite you to accept a gift that’s been shared with you...completely free. The hip hop group Beautiful Eulogy’s much anticipated sophomore album: Instruments of Mercy, came out last week on 10/29. Boom! Free good music as a compulsive response to the gospel. 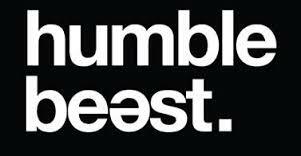 Thank you Humble Beast Records! (2) As it often goes with superior art, you’ve got to spend some time with it to appreciate the depth and value. You’ll also want to do that with this album because these dudes from Portland can rhyme faster than you can think at times. But it’s not just words that you'll be inundated with, it’s deep theological truth bombs fused with exceptionally creative wordsmithing. Not to mention, there’s no clear category for Beautiful Eulogy’s style. In fact, on NoiseTrade they say Beautiful Eulogy is “for people who like Bon Iver...and Outkast.”...See. No category. Put the gospel, creativity, theology, hip hop, poetry and Portland in a blender and out comes Beautiful Eulogy. The album has been out for a week. In the past week I have listened to this album several times. I’ve bobbed my head to the unique beats while driving. I’ve reflected on it in a room by myself without outside distractions so I could meditate on the lyrics. I’ve danced around the house to it with my wife and kids. I’ve got it cranked up this very moment while I’m writing this blogpost. 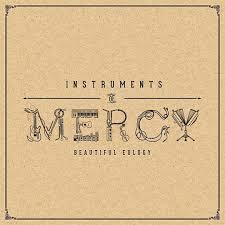 And now it’s my joy to share a beautiful and creative intersection between the gospel and art, Beautiful Eulogy: Instruments of Mercy, go get it for yourself...then share it with someone else.